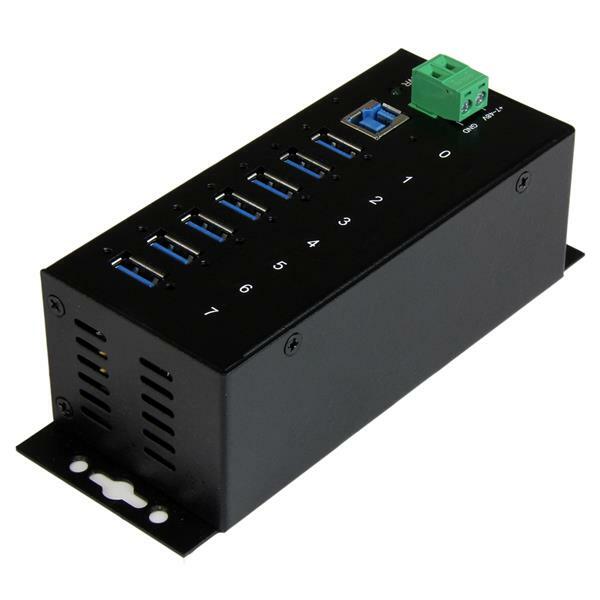 Engineered to meet the challenges of tough industrial environments, this TAA compliant USB 3.0 hub lets you expand your connectivity options by adding seven external USB 3.0 ports to your computer. Now you can increase your everyday productivity by gaining powerful and convenient access to your external hard drives, printers, mobile devices and other peripherals. Designed for performance and durability, the industrial-grade hub features a rugged, metal housing. 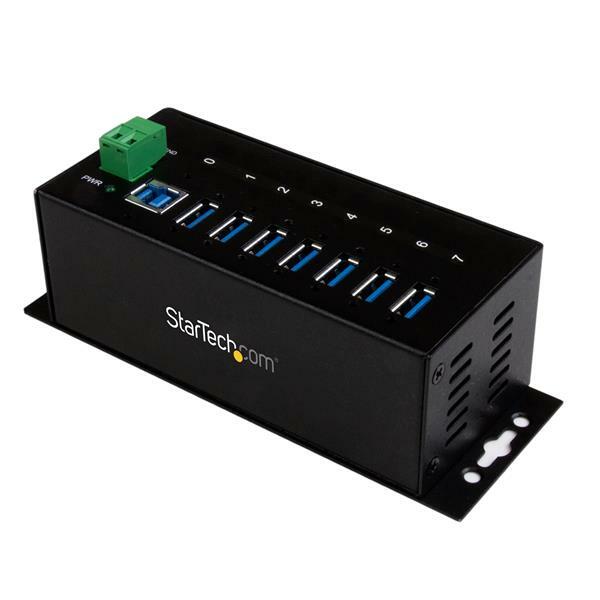 Its wide-range 7-48V DC terminal block input gives you the flexibility to power the hub as required, based on your own power input capabilities. Plus, it supports an extended operating temperature range (0°C to 70°C), helping to ensure reliable performance even in the most demanding factory and industrial environments. The rugged hub also offers ESD protection to each USB port, which can help safeguard your investments by preventing damage to your connected devices. The hub also supports USB Battery Charging Specification 1.2, delivering up to 2.4A on any port to a maximum of 50W total, so you can charge your mobile devices faster than traditional USB ports allow. 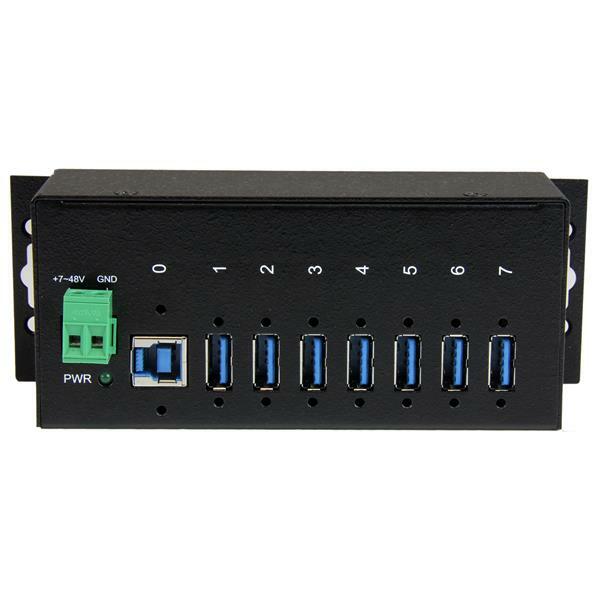 This wall-mountable USB 3.0 hub can be securely mounted to surfaces, under desks, and in other high traffic areas where there is a concern that USB connections may become unplugged. Plus, it also includes optional DIN rail mounts for use with equipment rack installations. Compliant with SuperSpeed USB 3.0, this industrial hub supports 5Gbps bandwidth. It's also backward compatible with USB 2.0 and 1.x specifications, simultaneously supporting older USB peripherals or legacy systems that lack USB 3.0 capabilities. 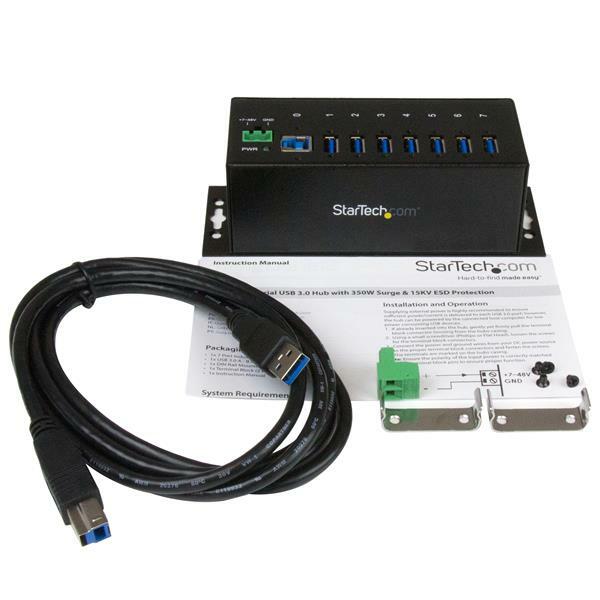 The ST7300USBME is backed by a StarTech.com 2-year warranty and free lifetime technical support.